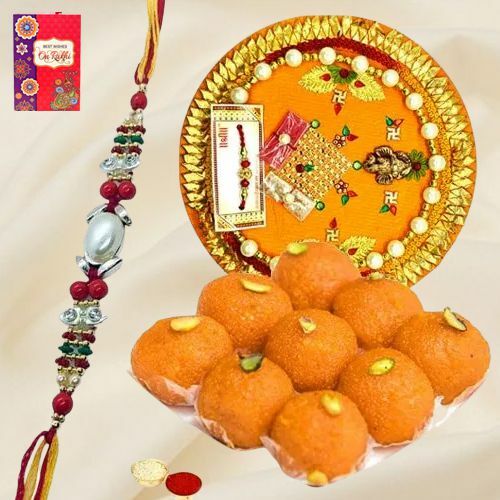 Send wonderful prayers for your loved ones along with this Tasty Haldiram Laddoo and Rakhi Thali complemented with a free Rakhi, Roli Tilak and Chawal to deliver the best Raksha Bandhan gift to them. This delightful Hamper comes with 7-8 inch Rakhi Thali and 250 gr. Laddoo from Haldiram.